Ian Thompson is Australia’s inaugural Chief Environmental Biosecurity Officer. He is the primary representative of and advisor to the Australian Government on all matters relating environmental biosecurity risks. 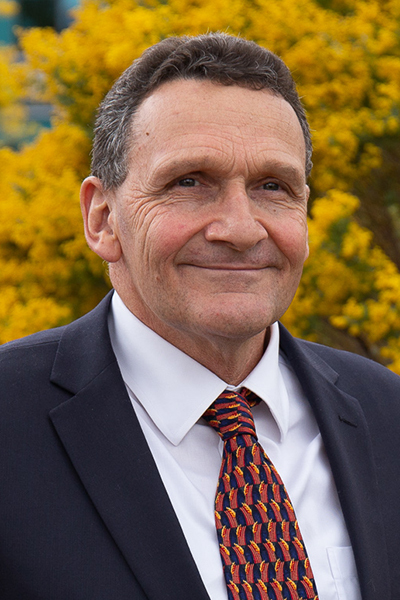 Ian has previously led biosecurity policy and emergency response, plant industry policy, field crop issues, plant health, native title, drought management, water infrastructure and water reform, rural adjustment, rural leadership and rural research issues. Most recently Ian’s responsibility spanned sustainable agriculture policies and programs, fisheries, forestry, agricultural and veterinary chemicals, community and Indigenous engagement and Landcare. Ian has a Bachelor of Natural Resources degree from the University of New England.